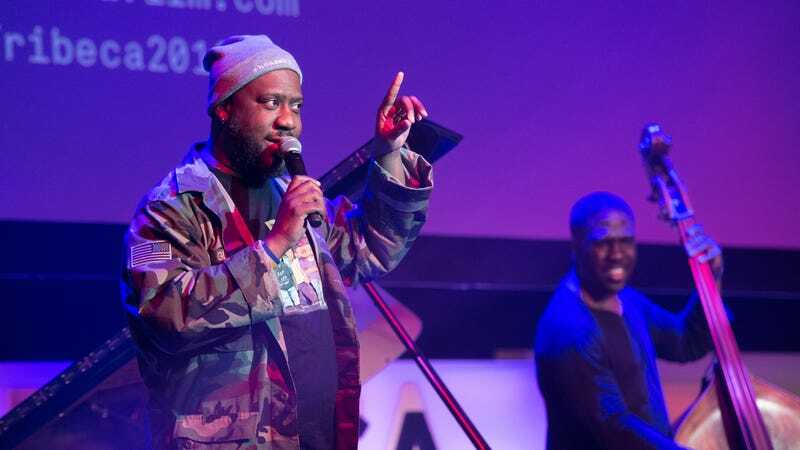 Robert Glasper, the Grammy-winning producer and pianist, recently sat down for an interview with Houston radio station 97.9 The Box. In a video posted to YouTube on August 13, you can see the host of the Madd Hatta Morning Show egg on Glasper to talk about “those egotistical, hard personalities” in the music industry. You then hear everyone in the room react when Glasper mentions Lauryn Hill. From there, Glasper rattles off a list of Hill’s alleged offenses, unknown to many of her fans unless they played in her band or knew someone who did. Glasper says in 2008, a friend of his invited him to play in Hill’s band for a 20-minute show, for which he says Hill was set to get paid $500,000. After Glasper agreed to play, he says Hill would show up every day for a 10-hour rehearsal and change the set every day. On the last day, Glasper says Hill’s manager walked in and told everyone Hill was disappointed with how the band had learned the music, and that their pay would be cut in half. The power move apparently worked: Glasper says he got paid in the end, but he didn’t come back for the last rehearsal and claimed he’d been disrespected. (He was the principle piano player at the time.) But he’s clearly remembered the disrespect (for years!) and let it all out on this show. Among other things, Glasper confirmed rumors that Hill doesn’t like people to look her in the eye, that she prefers to be called “Ms. Hill,” and that she likes to fire bands while they’re on tour. Glasper also accuses Hill of stealing the music on her album The Miseducation of Lauryn Hill and says she doesn’t know how to—or simply didn’t want to—tune her own guitar on tour. Watch the full video interview above.